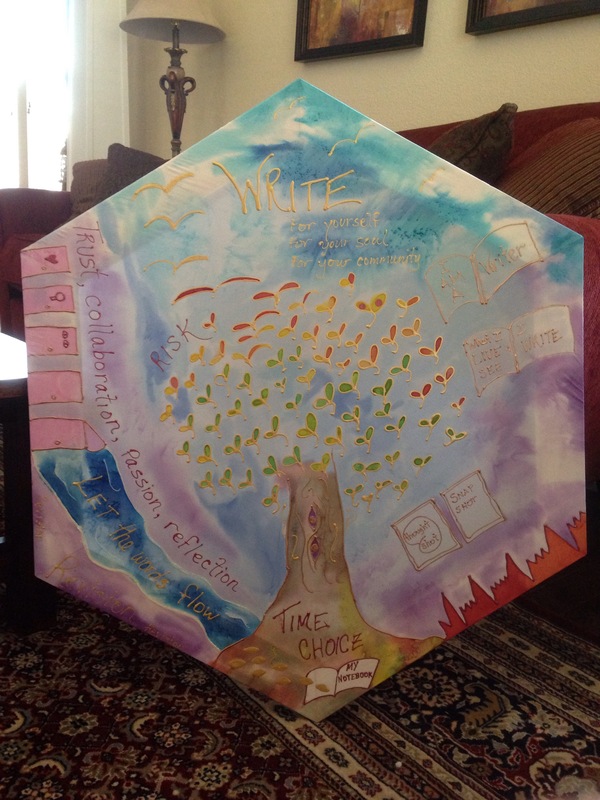 This is Christina Pierson’s CWP 1 Connections Project, a work of art about the writing process that she will hang in her classroom at Louisville Elementary School in Louisville, Colorado. This is hand-dyed silk. Christina completed CWP 1 in June of 2015. Christina Pierson’s connections project–hand-dyed silk.